Manila, Philippines - Nine couples will embark on a journey that will test their relationships and face whole new chapter that will change their lives forever. Will it be an “I Do” or an “I Don’t” for the couples? Join them in ABS-CBN’s newest realiserye “I Do,” which will premiere on August 30, 2014 (Saturday). Throughout the competition, the couples will be tested and guided by host Judy Ann Santos-Agoncillo, along with other council members, life coach Pia Acevedo and psychologist and marriage counselor Dr. Julian Montano. Co-host Jason Gainza, meanwhile, will assist Juday in giving out challenges. Juday, who has been married for five years with two kids, said she will give advice to the couples based on her personal experience as a wife and mom. “The most challenging thing I do in the show is giving the couples pieces of advice that they can live by. When I accepted this show, I didn’t really know what I was getting into, I was just excited because it’s an original concept. Along the way I became sort of a life coach. It just feels great to be part of a couple’s journey to getting married,” she revealed. The nine couples will live in three houses inside the “I Do” village, but the women will sleep separately from the men. Juday shared that the program made her realize that the strength of a relationship does not depend on how long a couple has been together. “What’s important to me is that viewers get inspiration from the show. We made this program to inspire people not to jump into certain situations. Lahat ng bagay ngayon dapat pinag-iisipan ,” said Juday. In the program, the couples will be tested through weekly cycles, with a theme each and sessions based on real-life marriage and relationship situations. Each week, the council will decide which couple to eliminate. Dr. Julian, meanwhile, shared that he is amazed by the production staff for conceptualizing creative activities, which he has started using in professional counseling. “I learned a lot not just about delivering the topics and lines, but also in seeing the couples. My one big learning in my experience is focusing on ethical responsibilities. There should always be balance. We open up their emotions and make them realize something. My responsibility is to see to it that we bring them closure,” he said. The pilot of “I Do” will unveil the love stories of the nine couples, which are comprised of the following: business partners, a Korean-Pinay pair, an engaged couple, high school sweethearts, a couple struggling to confront their haunting past, a couple who have been together for three months, neighbors turned lovers, a couple with a 19-year age gap, and a young pair with a kid. In the end, the winning couple will be determined by public votes and will bring home P1 million, house and lot, and their dream grand wedding. Whose love story will get a happy ending? 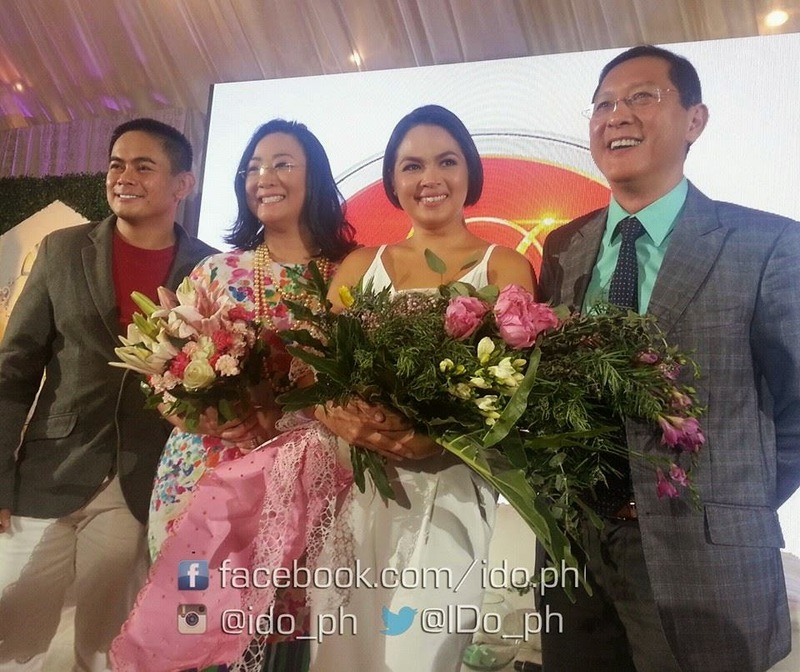 Don’t miss the pilot episode of “I Do” with Juday, Jason, coach Pia, and Dr. Julian on August 30 on ABS-CBN.